Advance your career with certified English results. Whatever your workplace, our business English course will equip you with the valuable skills needed to communicate effectively. Skills include learning key vocabulary and pronunciation, to mastering professional email, letter and business writing. As a busy professional, we know your time is precious. That's why we have developed our business English course to fit around your schedule. EF English Live is available for you 24/7, offering teaching, motivation, and support whenever you need it. You'll learn where and when it's convenient for you: online at work or home, or even on your iPad® and Android™ tablet as you travel. You can study alone, or network in a live online class. We'll ensure you benefit from all of our resources to master the English skills you'll need to thrive in your workplace, or prepare for your next career move. 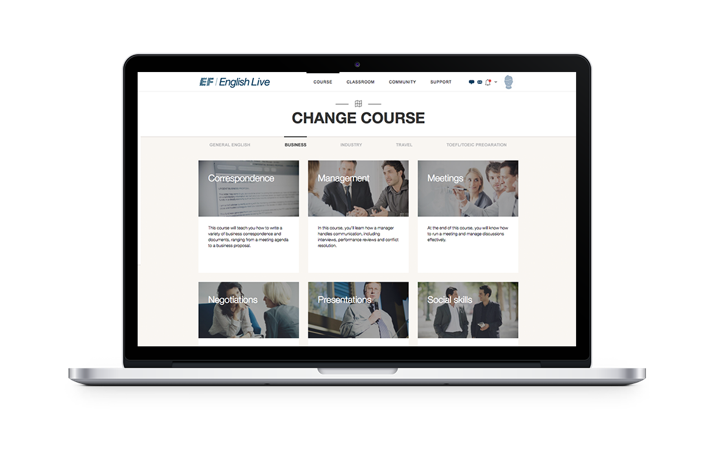 We've divided our business English course into manageable lessons to prepare you for situations you are likely to face in your workplace. By the end of our business English course, you'll have the language skills you need to succeed in your job. Start by mastering the basics: from English telephone etiquette, to key conversational vocabulary. 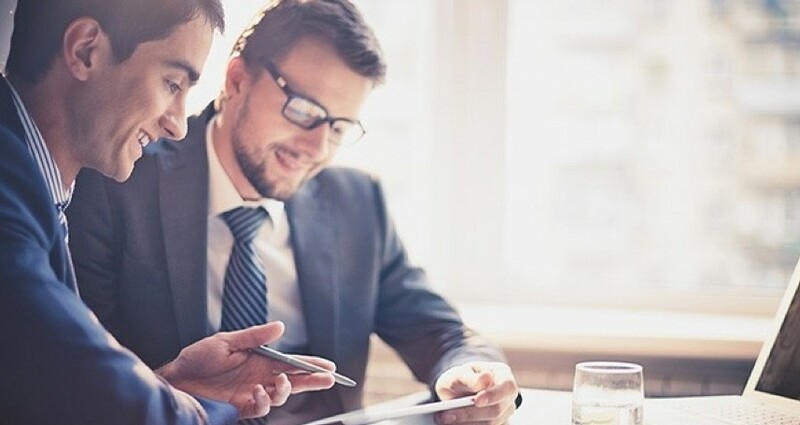 From there, you'll progress to more advanced tasks such as running a meeting in English, negotiating a deal, and giving a successful presentation. You'll also learn to perfect your professional email, letter and business writing skills. As a student of EF English Live, you'll benefit from access to our award-winning online English school, where you'll be able to reinforce your professional language skills with the live support of our skilled teachers and hundreds of hours of innovative study tools. We're available 24/7 to support you on your language journey. In addition, we offer job-specific training along with our 16 levels of general English to enhance your language skills even further. One school give you maximum results. As a professional, we know that you and your employers value credible results. That's why you'll receive an EF English Live certificate when you complete all modules of our Business English course at levels I, II or III. Additionally, each time you complete one of our 16 levels of general English learning, you'll receive a diploma certified by EF. To further help employers understand your achievements, we've carefully aligned each of our 16 levels with the six CEFR levels used globally to grade language proficiency.